Well, just like Liesel said. I cant believe this is my last email. Its been an amazing experience to have been able to be here in Uruguay. When I was younger, I never thought that I was going to go on a mission. But I am so grateful that Ive had this chance. I have gotten to know my Heavenly Father more than ever and Jesus Christ. This gospel is so amazing and its the only thing that makes us happy and the only thing that will allow us to live eternally with our families and with God and Christ again :) Im so grateful to everyone that has supported me. And Im so grateful for my family. They have supported me like crazy. Its been such an experience being here. So many emotions. Its been hard. Its been fun. And its helped me grow spiritually. I know that God has been watching over me. I have seen miracles happen. And I have felt His love. He has helped me SO much on the mission. And Ive met amazing people here. I hope to be able to go home and continue changing lives. Its been amazing having a year and a half to focus on the gospel. I want all of you guys to know that Jessica (our investigator) got baptized this past Saturday!! 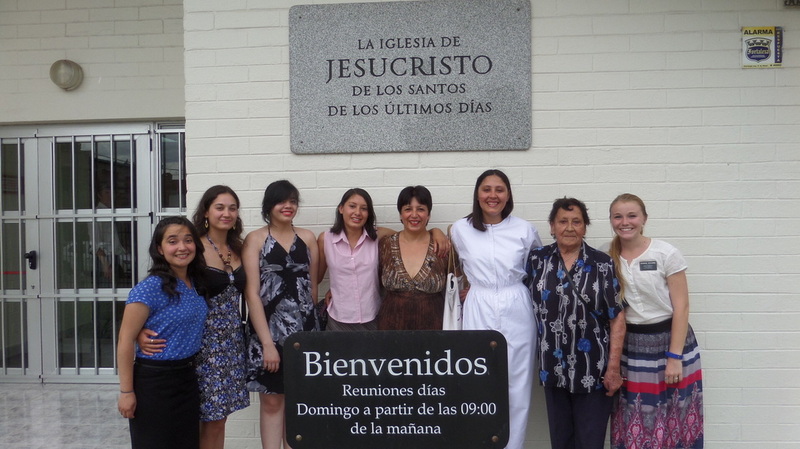 Her mom and her grandma, her two sisters and her friend went to the baptism :) There were complications, but everything turned out well. And on Sunday we were able to see her get confirmed and recieve the gift of the holy ghost. And now Jessica is officially a member of the church of Jesus Christ of latter day saints!! Im so happy that I was part of that process. I dont know what to say. I just want to thank you all for everything. And I want to thank my Heavenly Father. He has made me who I am, and given me what I have. I love my Savior. I know that He died for me and I know that He knows my name. I know that He loves me and He wants me and my family to return to His presence. So I will do everything I can to achieve that goal. Because I know that Christ will soon come. Wow. I can’t believe that this is it. My last email as a full time missionary. Let me tell you, it has been a ride! I really can’t explain how I feel and everything that I have learned. But hopefully my testimony will be shown more through my actions. I want to testify that I know that my Savior lives. I know that he suffered, died, but then lived again for everyone of us. i have been able to know more of the Lord as I have been in the mission. And not just because of the things that I have been learning and reading. But really by putting into practice those things. By living the gospel and not just learning about it. To get closer to the Savior and knowing Him more, we have to become like Him. And we can do that only by serving Him and following His teachings. I know I have a lifetime ahead of me to know Him more and become like Him. 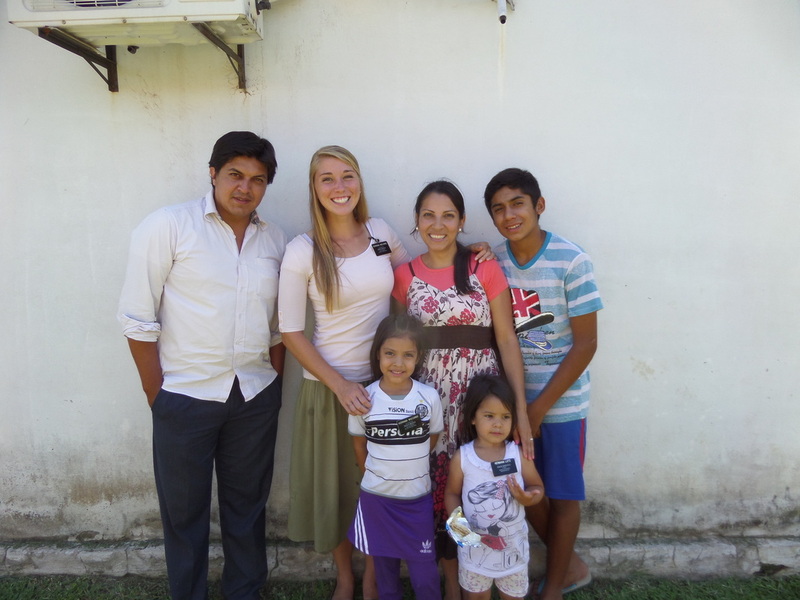 But I haven't had a year and a half so enriching, so hard, so amazing to help me more than this mission has here in Paraguay. I can’t thank the Lord enough for what opportunity He has given me. But I know that this isn’t it. God provides us with a life ahead of us to become better. To have Faith in Him and to show our love for Him. I know that His church is true and that it is the only organization here on the earth that provides us with the ordinances and covenants that we need to get back to our Heavenly Father. I have been so privileged to be a representative of it and Jesus Christ for the little time. And I will never forget it. Like I said, I don’t really know how to put it into words what I feel and its really hard to express myself. But I hope that all of you have been able to feel my love that I have for the Savior and for all by the letters these 1 and a half years. I hope with all of my heart that I have been able to touch some of the lives here in Paraguay but also some of you. That is my wish. And I will continue to show my love as i come home as a continued follower of Christ. Woah. So next week I promise the letter will be better! We ran out of time today with a meeting we had in the morning. So it'll be something short this week but I will share a few things. President asked me to bear my testimony this morning about how I have learned faith in the mission. I talked a little bit about how I have seen the change throughout this past year and a half. At the beginning of the mission I read the fourth missionary which talks about how we have to be the best missionary possible that we can be. Give ourselves completely to the Lord. And I remember praying one time and telling the Lord, "Here I am, take me and make what you want of me. Use me how you can." And I thought right after that moment that he would take me, and make me this amazing person without any effort on my part. I couldn’t have been more wrong. Soon I thought, why I am not being better? Why am I not progressing? And then I realized that to completely give myself over to the Lord, I have to follow Him exactly and push myself the most I can to be better. I’m the one who has to do things even though it seems scary or even if I’m nervous or even if I don’t want to. I had to do my part before the Lord could do His. And it takes a lot of faith. Not knowing what’s going to happen, and doing it no matter what the outcome may be. And that is one thing that I learned while being here. That through the Atonement of Jesus Christ, we can be made perfect. But he is waiting for us to make the first move, waiting for us to complete with the first principle of His gospel until he helps us with the rest. I know that the mission has made me into a better person, but there’s still a life time of perfecting. A life time of discipleship. And I have to continue to have faith after the mission. Doing things and pushing myself even though I may not want to. I have to be obedient to the Lord and I know that If I act in faith, that he will give me even more and help me to become the person that he wants me to be. So here's to the last week of my mission here in Paraguay. Its been great, and I'll share a bit more next Monday. But "Here I am, Lord. Use me how you can this week." I hope that we all go into this week with that attitude. Submitting our will to the Lord's and becoming true disciples of Him. This week I will be on my last division with some really young sisters and I’m excited! Here's to red roads, green trees, and Christmas time here in Paraguay! Como estan todos?! As for me, Im great! This week just passed right on by. Dont really remember what we did. Missionary work no más!! Oh! We found a new investigator! Her name is Alba. She lost her son and she is taking care of her mom. Shes really religious and she listens to us. The next time we go over to her house we are going to invite her to be baptized. We taught her and her granddaughter about the restoration. Im really excited becasue she has a lot of desires to listen to us and shes really nice! I also know that God is preparing these people. Sometimes they need to have a broken heart to be willing to listen to the gospel. So we are really grateful that she was put into our path. We also have a potential future investigator. We made a contact to a girl named Valentina. We had passed by her house a few times and she was never there. One day we left a little early from the house, went to her house and we found her!! She came outside and we asked her if she had a little time. (shes 17). She said yeah! But she asked if we could have the lesson outside. So we just started teaching her right there on the street and the spirit was actually really strong. It was amazing! We were explaining why there isnt only one church if there is only one God. So we explained the Restoration of the church and Joseph Smith. She said that she was going to pray! So we are also really excited about her too! Thank you all for praying for us! I know God answers prayers-- even in the smallest ways. This week was a really good week and we are going to continue working hard!! I love you all and hope you have an AMAZING week! !